Battery-operated: 4 x AAA batteries, you can use it anytime and anywhere. On the bottom of the base, select Mode1 or Mode2. 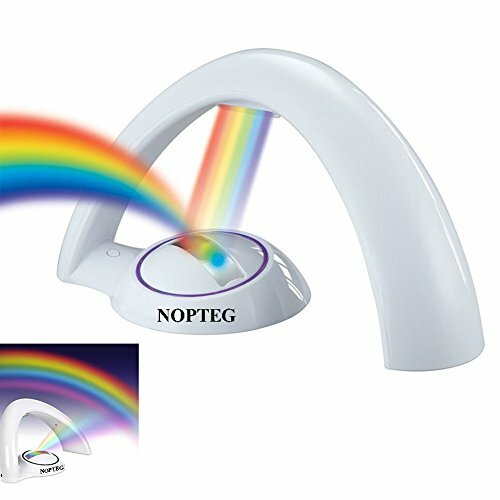 If left on, the rainbow will turn off automatically after 10 minutes. If you are using an AC adapter, the unit will remain on until the on/off button is pressed.